Home » Sleeping Q&A » What are petit mal seizures? The typical petit mal seizures tend to be quite short and very hard to detect yourself. They would not occur longer than a minute, usually under 1 min. The atypical petit mal seizures slowly gear into speed and last longer than the typical ones. There is also much more body movement in these kind of seizures, but they are not as aggressive as in the more serious cases. You are most likely not able to notice or recall the occurance of petit mal seizures. However, if you are sleeping with someone they could notice. Having trouble sleeping because of cough? 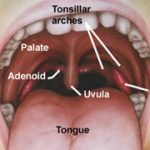 How well does a tonsillectomy cure sleep apnea? What is a cure for emphysema?